At an emergency meeting of the U.N. Security Council on Wednesday, U.S. 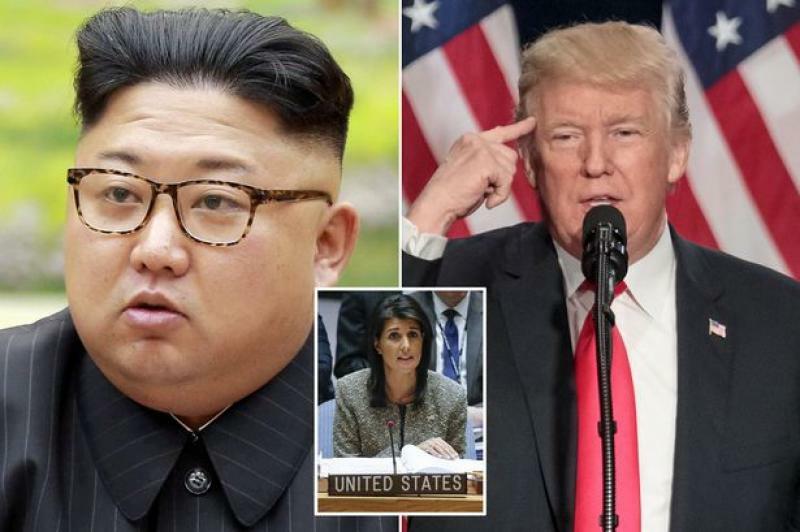 Ambassador Nikki Haley said, "we have never sought war with North Korea, and still today we do not seek it. If war does come, it will be because of continued acts of aggression like we witnessed yesterday." (by Pamela Falk, CBS News, Last Updated Nov 30, 2017 5:41 AM EST) UNITED NATIONS — After the launch this week of an intercontinental ballistic missile by North Korea, U.S. Ambassador Nikki Haley and her counterparts from Japan and the Republic of Korea requested an emergency U.N. Security Council meeting. “Through sanctions we have cut off 90 percent of North Korean trade and 30 percent of its oil. But the crude oil remains. The major supplier of that oil is China.” Haley said. The missile test, which was (overseen) by North Korean dictator Kim Jong Un, was its first one since September. Wednesday’s launch of what the North called the Hwasong-15 intercontinental ballistic missile (ICBM) demonstrated a greater range than other missiles it’s tested and showcased several capabilities the North must master if it were ever to actually try to unleash them at the United States. …North Korea [claims] it now has a missile that can strike anywhere in the U.S. including Washington, D.C., and Kim Jong Un’s regime successfully launched its third intercontinental ballistic missile, CBS News’ Correspondent Ben Tracy reported. [Following recent belligerent threats and] missile tests…, the U.S put North Korea back on a U.S state sponsors of terrorism, allowing the U.S. to impose more sanctions. President Trump said Wednesday more major sanctions will be imposed on North Korea in response to its latest ballistic missile launch. Continuing his efforts to work with China to peacefully force North Korea to end its nuclear program, the president tweeted on Wednesday, “Just spoke to President Xi Jinping of China concerning the provocative actions of North Korea. Additional major sanctions will be imposed on North Korea today. This situation will be handled!” Secretary of State Rex Tillerson said the U.S. could target financial institutions doing business with North Korea. In September, the U.S. drafted a U.N. resolution calling for a complete oil embargo along with an asset freeze and travel ban on North Korea’s leader Kim Jong Un — a measure that had the support of U.S. allies but was met with resistance from China. Diplomats now say the U.S., along with Western nations and Japan, will be looking to increase pressure with tougher sanctions as a last resort to diplomatic and economic measures. At the Security Council meeting, several Council members talked about the enforcement of existing sanctions and also suggested adding new sanctions. “You don’t bully and play games with nuclear weapons,” Ambassador Haley said. North Korea’s state-run television claimed that it had successfully tested a new type of intercontinental ballistic missile (ICBM) that could reach all of the U.S. mainland. North Korea has been under U.N. sanctions since 2006 due to its ballistic missiles and nuclear programs. France’s Ambassador Francois Delattre called for tighter sanctions saying that the threat posed by North Korea, “has shifted from being regional to global, from being potential to immediate.” He said that France’s President Emmanuel Macron just called for an increase sanctions on North Korea after the missile test. “Confronted with such a threat and challenge from North Korea, weakness or ambiguity are simply not an option,” Delattre said, adding that France favors tightening the sanctions with strong additional measures. …At the U.N. Security Council meeting, China’s Deputy Ambassador to the United Nations, Wu Haitao, pushed back on the call for China to do more, calling for less confrontation with Pyongyang. …President Trump himself had talked about dialogue before the recent launch, and the international watchdog agency’s chief, Yukiya Amano told CBS News that, if that day came, the agency would be ready to inspect North Korea’s nuclear sites. 1. Why did the U.S., Japan and South Korea call for an emergency meeting of the U.N. Security Council on Wednesday? 2. What steps did the U.S. ask China and the UN to take? 3. Why must China take more responsibility with sanctions on North Korea? 4. a) What statement did Ambassador Haley make about war with North Korea? 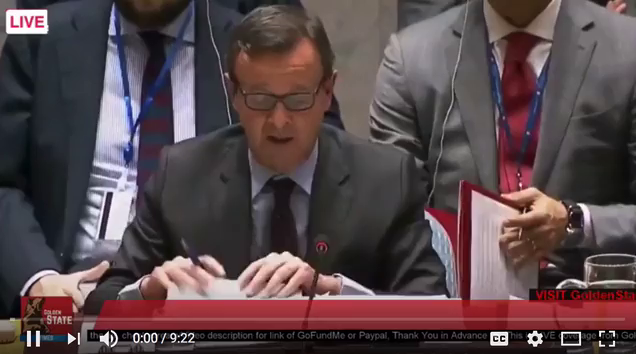 b) Watch the first video clip under “Resources” from Nikki Haley’s speech at the Security Council. What is your reaction to this assurance? 5. What did the following members of the U.N. Security Council say about North Korea’s missile tests and imposing sanctions against the rogue regime? 6. China’s Deputy Ambassador Wu Haito had a different view on dealing with North Korea (see para. 21). Through the two terms each of Presidents Bill Clinton, George W. Bush and Barack Obama, dialogue, discussions, and negotiations in the “Six Party Talks” utterly failed in preventing North Korea from developing nuclear weapons and the ballistic missiles necessary to deploy them. The Trump administration is taking a much tougher approach – and most notably persuading even Russia and China to impose more sanctions against North Korea than they have ever done. President Trump refers to Kim Jong Un as “Little Rocket Man” – and his ultimate goal is to force North Korea to completely denuclearize. Trump’s opponents, including some Republican politicians and commentators (who are embarrassed by his manner of speaking) blame the president for causing Kim Jong Un’s belligerence. 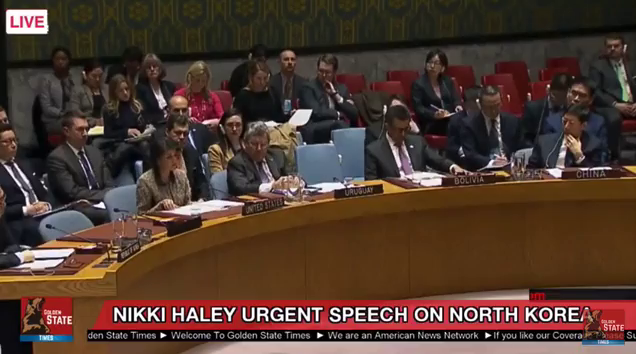 Watch Ambassador Haley’s speech at the emergency Security Council meeting (see the video under “Resources” below) and discuss with a parent: Do you think the Trump administration’s strategy will succeed? or do you think President Trump should try the same approach of negotiations with North Korea that the previous presidents did? Please explain your answers.